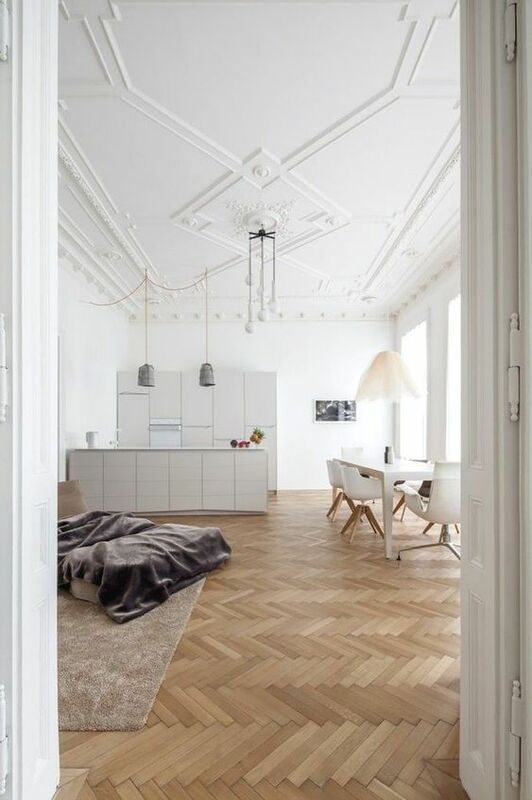 I love wood parquet flooring and, if I had a house of my own, I would have no doubts about the type of floor I would like. I like wood because it is a natural material, it is warm and it immediately makes any home cozy. Given the variety of wood types on the market, I find that it also fits perfectly in any style. 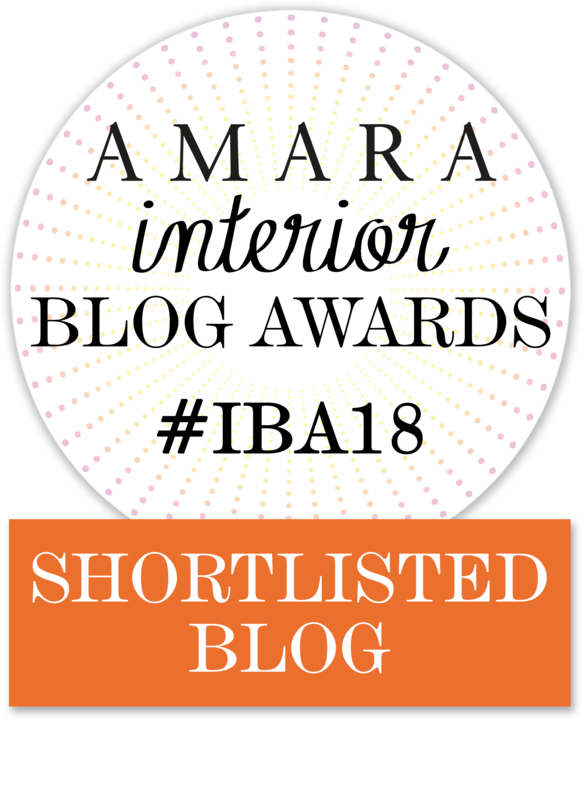 In addition to the many wood types on the market (which will be chosen based on aesthetics and functional features), there are also many laying patterns: recently I am obsessed with the herringbone and chevron patterns. Maybe it is because they remind me of the Haussmanian houses in Paris, maybe because it make you think immediately of old buildings or the Versailles Palace…I don’t know why but I like it more and more. 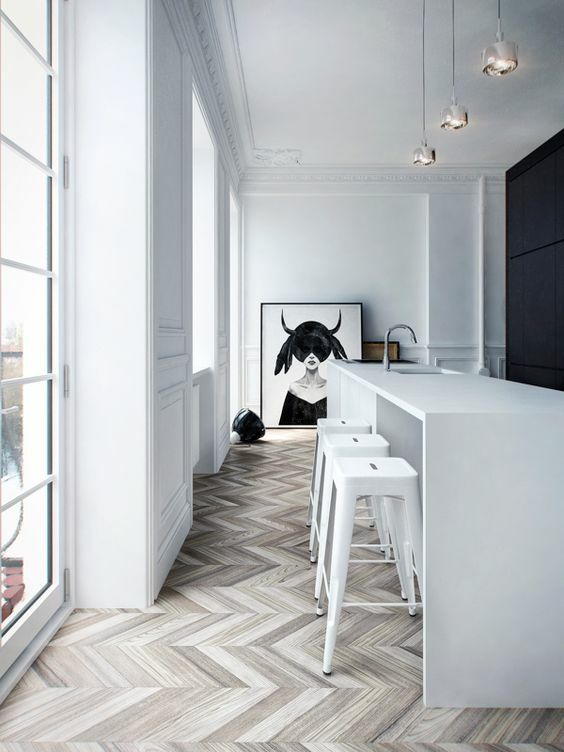 And apparently I’m not the only one, because the herringbone parquet floor seems to be trendy lately. I like it because it gives an elegant and chic touch to the house but still remains very modern. I also like the effect of movement and repetition it creates, an effect that also helps make the rooms look more spacious. 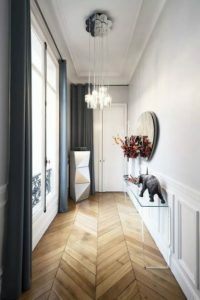 While for this type of installation narrow and short blocks of wood were usually used, today the tendency is to use wider and longer blocks, giving the herringbone parquet an entirely new and very modern look. 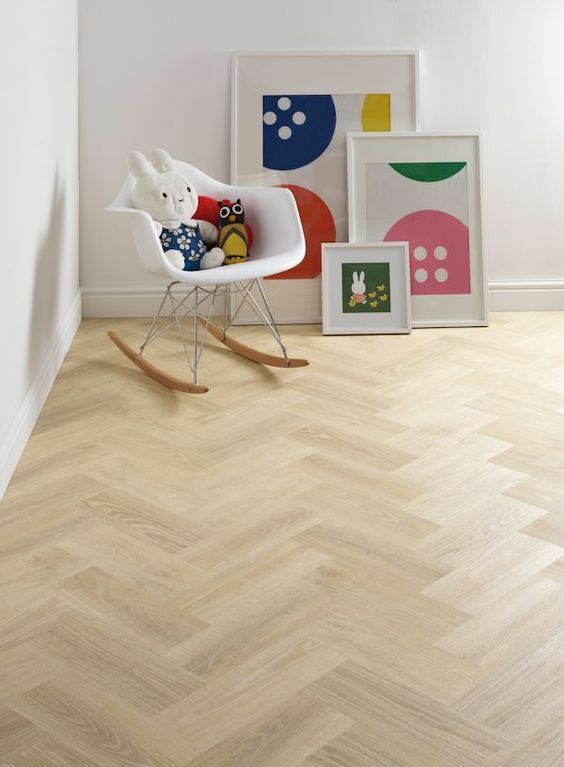 When talking about this type of laying pattern, we need to distinguish between herringbone parquet and chevron parquet. 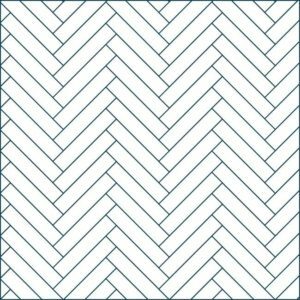 In the traditional herringbone pattern the blocks, all of the same size, are arranged perpendicular to each other at an angle of 45 °, resulting in a broken zig zag. 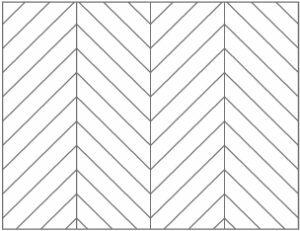 In the chevron pattern, the ends of the blocks are cut at a 45 °- 60 ° angle and then laid head to head, resulting in a continuous zig zag. 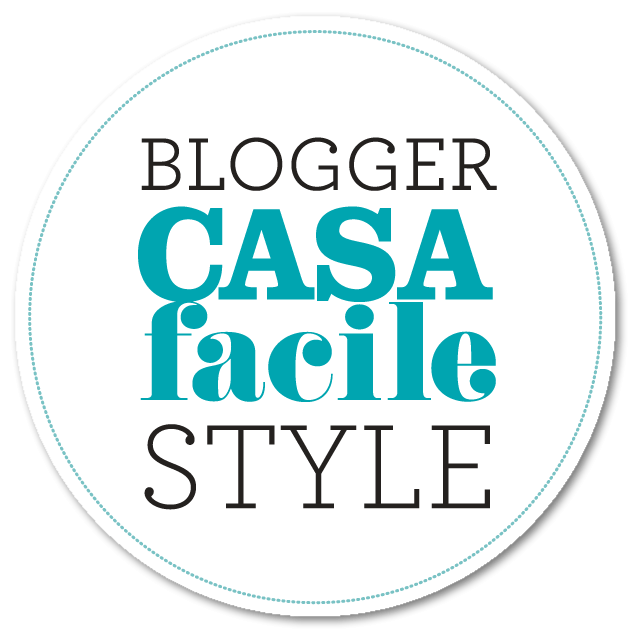 This type of laying pattern can be more expensive and takes more time…and of course it is also my favorite! 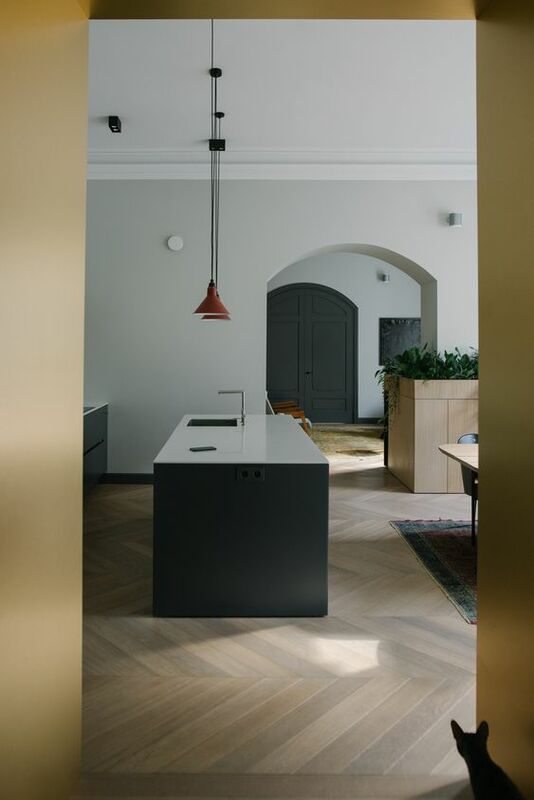 Sometimes, the herringbone parquet is matched with a lateral band that runs along the perimeter of the room and is characterized by a different laying pattern. 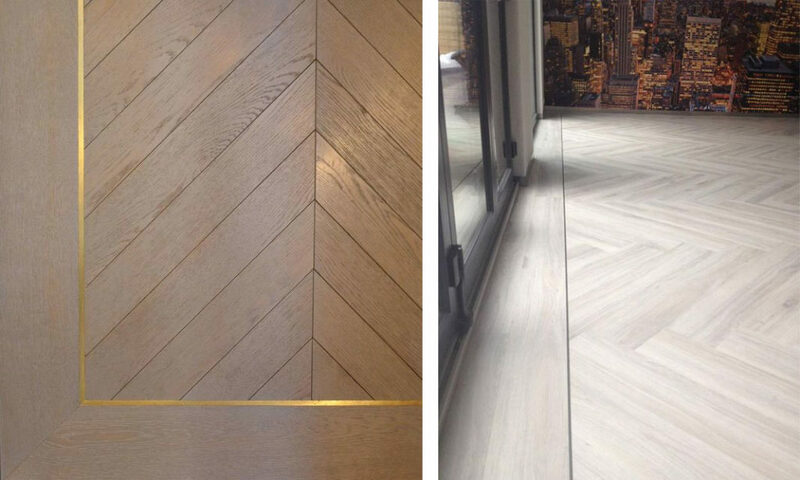 The effect of the lateral band is certainly very elegant but, I must admit, I prefer the parquet flooring without it. 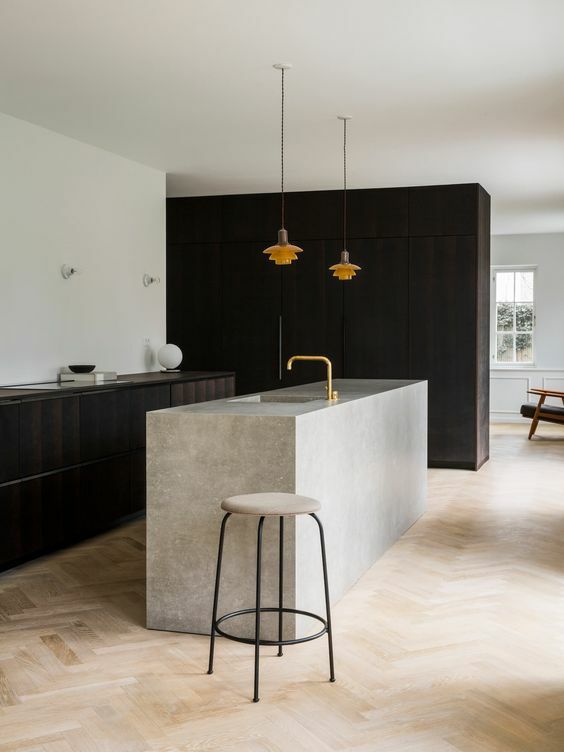 And while we’re talking about parquet, what do you think of parquet flooring in the kitchen and in the bathroom? Even if there are now beautiful tiles in the market, I still like wood also in the bathroom and kitchen. 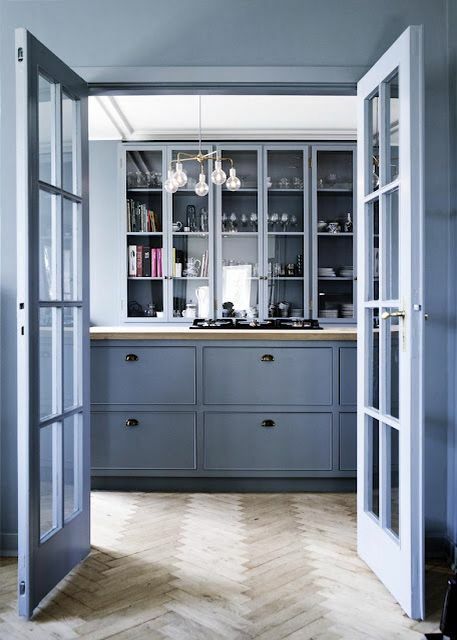 If wood flooring is used in all the house, I like the continuity effect that it creates. Although today there are types of wood and finishes that allow to use wood even in humid environments, some still remain skeptical. 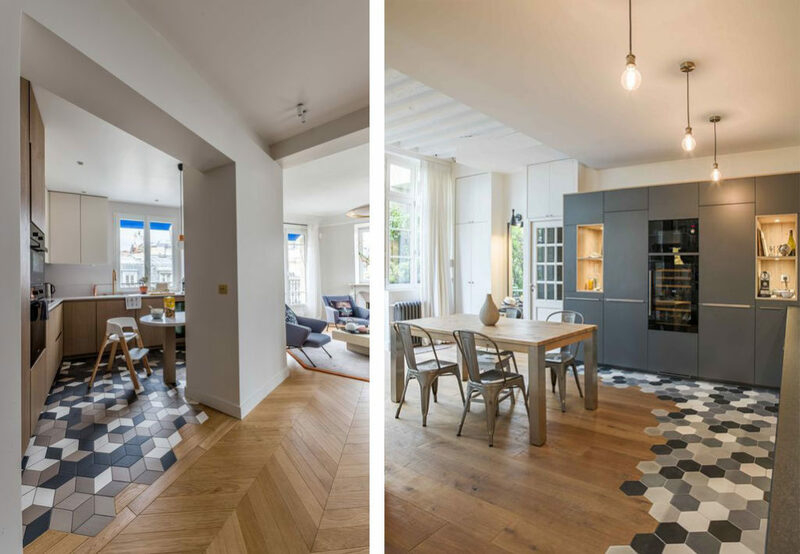 A good compromise is to make an inlay between parquet and tiles, as in these photos. You change from wood to tiles without losing continuity and with a beautiful and spectacular effect. How about it? 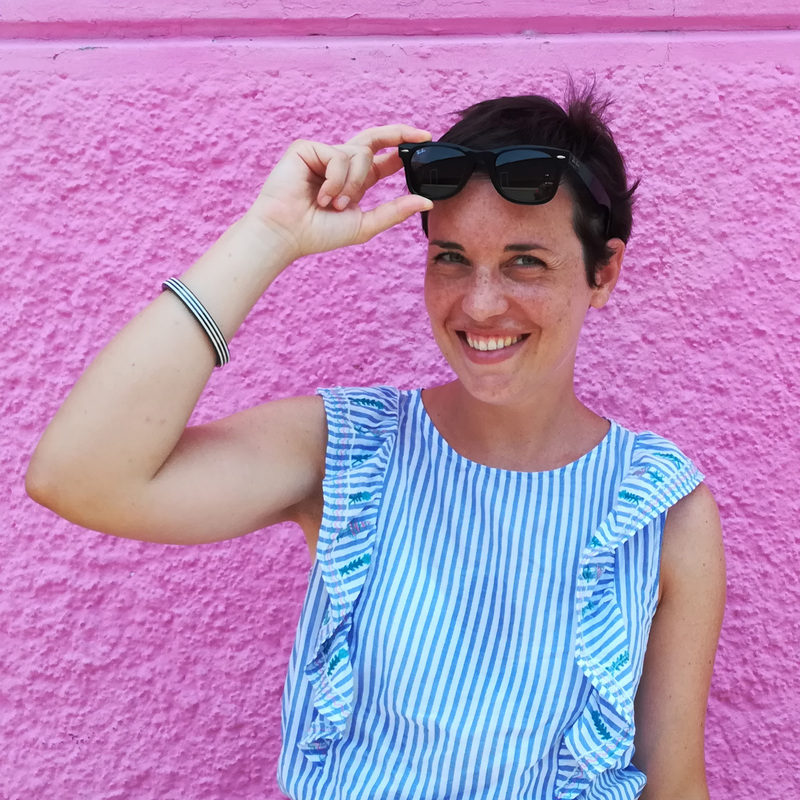 I really like the effect…maybe I will write a post only about this! Sustainable cooking inspires the color palette of Maannos restaurant.